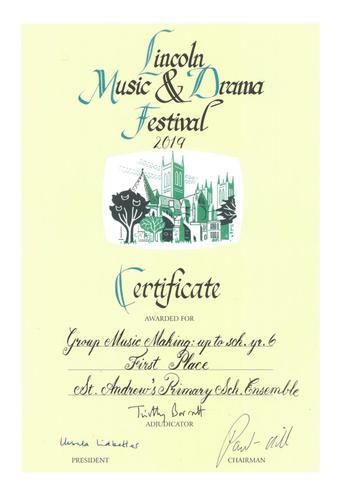 Last week a number of our children took part in the Lincolnshire Music and Drama Festival. 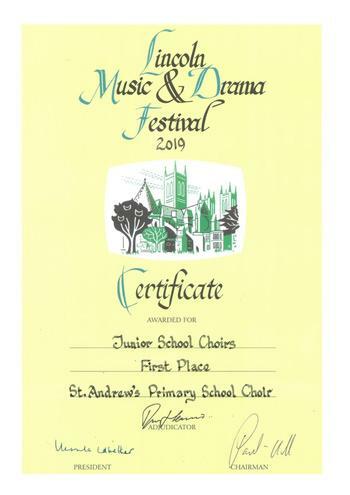 The choir was awarded first place in the Junior Choirs category, and the orchestra first place in the Group Music Making category. A big congratulations to Miss Csiba and all of the children involved.